Noble Inn | The perfect place to end your day! We had you in mind when we designed and built the Noble Inn. We’re the perfect place for any traveler, from a one night stay or extended dates. You’ll first be greeted by our friendly staff, then by our warm, welcoming European-style décor. Step up to your large sleeping room, outfitted with granite counter tops and cherry wood cabinetry, and enjoy your night on our luxury pillow-top mattress. Not ready to retire for the evening? Join us back in the lobby at our Fox in the Hound’s Pub or enjoy the sunset in front of one of our two fireplaces on our outdoor courtyard. Traveling on business? We’re ready for you! Monday through Thursday you’ll enjoy one complimentary drink from our pub. Our business center includes two computers, a printer and a fax machine. Free high speed wireless internet is available property-wide. To help accommodate you further, we have a meeting room available for rent including a monitor for presentations and a conference phone. Traveling for fun? Come on in! We’re only 2.5 miles from the best shopping and restaurants in Minot. Be sure to keep an eye out for our weekend specials! 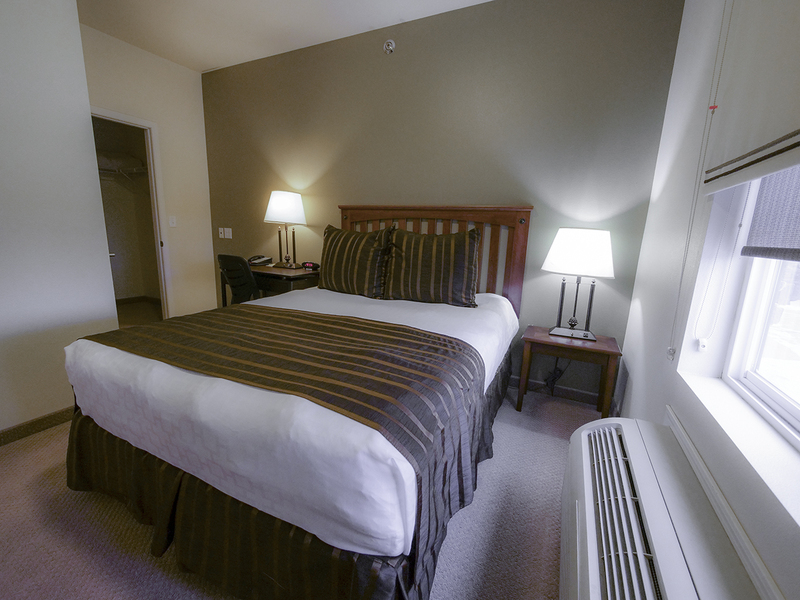 Our boutique hotel is one of a kind in Minot. We have a unique property and also unique hours. Monday – Friday 7am to 9pm, Saturday/Sunday – 12pm to 9pm. After 9pm check-ins can be happily accommodated with advance notice. Here at the Noble Inn we take great pride in providing service that goes above and beyond expectations. For both our multi-night guests and weekend travelers, we like to try and make your stay with us as personal as possible. In this sometimes busy world, we understand how important the “little things” are to make you feel at home. We’re happy to build lasting relationships with our customers through trust, honesty, and the highest level of cleanliness and service that we can provide. All of our rooms are designed to impress. 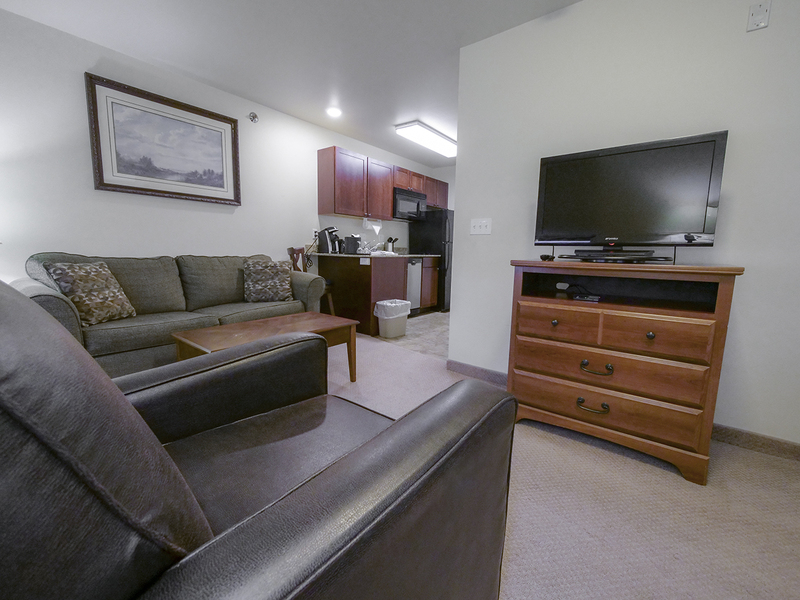 We’ve got two variations: Studio Suites (440 sq. feet) and One Bedroom Suites (550 sq. feet). 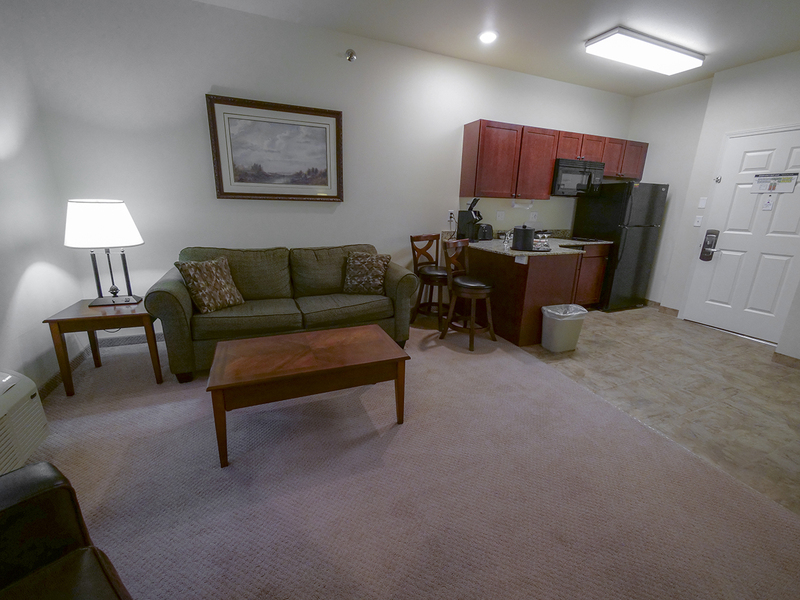 All of our rooms have a queen size bed, a sofa sleeper with memory foam mattress, walk-in closets, flat screen TVs, fully-equipped kitchen, full-size fridge with ice maker, microwave, dishwasher, 2-burner ceramic cook top, toaster, Keurig, and coffee maker. Below you’ll find the floor plans for our Suites. 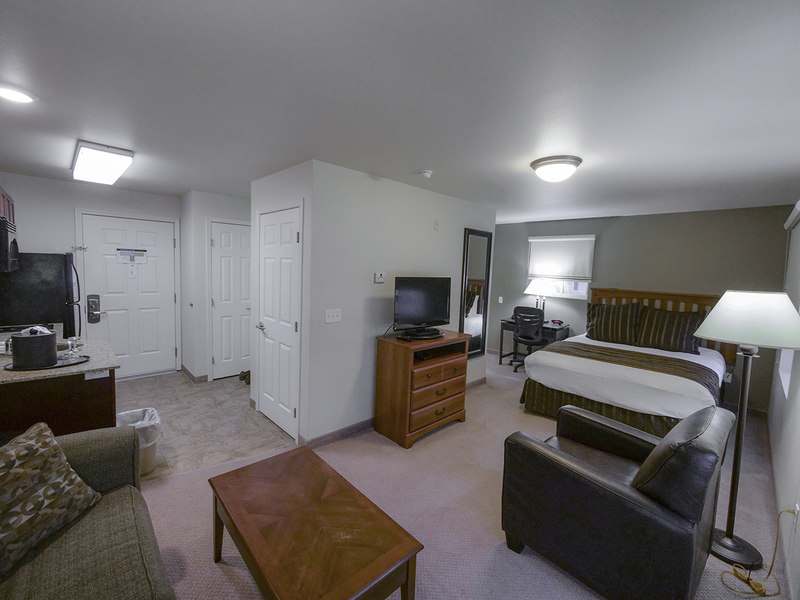 If you’d like a tour of our accommodations please don’t hesitate to stop in! 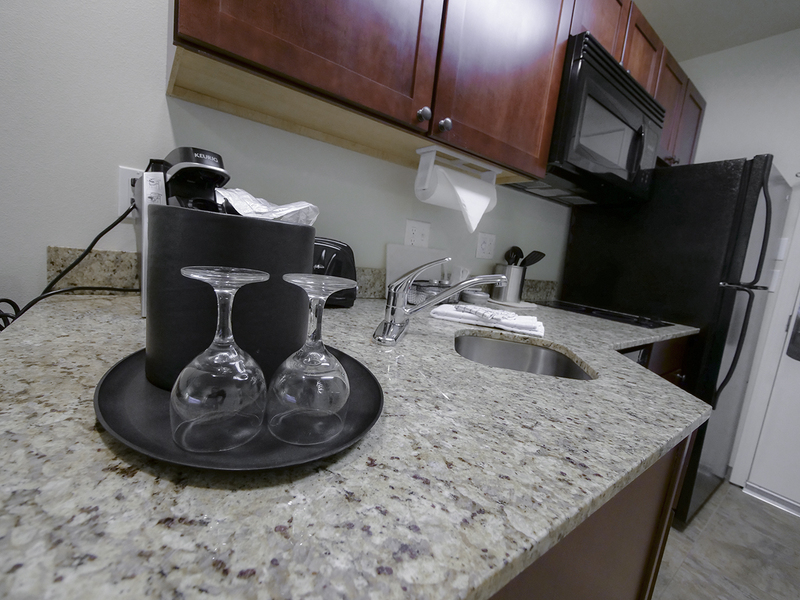 Our Amenities Can’t Be Beat! Monday thru Saturday during the Pub hours of 3pm to 9pm. Free laundry to all guests, located on the second and third floors. We have detergent available for purchase in our Convenience Store. Our guest Convenience Store is conveniently located in our lobby and is open during business hours -Monday thru Friday 7am to 9pm, Saturday and Sunday 3pm to 9pm. In our store you’ll find a wide variety of snacks, drinks, ice cream treats, chips, frozen dinners, pizzas, and so much more. We understand that staying healthy if very important to a lot of our guests, so we made sure our fitness center was bar-none. In our center you’ll find all brand new equipment including two treadmills, an elliptical machine, various free weights, stationary bike, and multi-way weight machine. We keep the temperature nice and crisp for your comfort, and give you free control over the televisions. The Business Center and Meeting Room are available to all guests free of charge. Our business center has two computers set up with printers and fax machines. The executive-style meeting room has a conference table that can seat 10 people, a conference phone, TV monitor with AV hookups, and complimentary water. If you’re looking for light catering or beverage service, just let the front desk know and we’ll get it planned! The west-facing outdoor pavilion and fireplaces are truly the best place to end your days in the summer months. While you watch the famous North Dakota sunsets dip over the horizon, you’ll be toasty around our fire pit and fireplaces. We’ve outfitted giant grills for your convenience, so you can enjoy the outdoors like you’re at home. Noble Inn now offers rental leases for our one bedroom and studio units on a monthly basis, with discounts at 3 and 6 months. 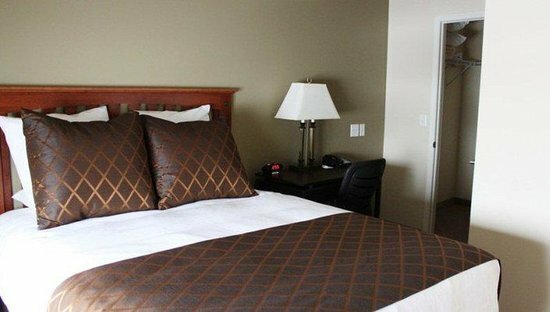 All are fully furnished and include household items and weekly housekeeping with free laundry on each floor of the hotel. The hotel amenities available to our residents include an elegant, intimate pub, fitness center, and unique, outdoor stone courtyard with gazebo and fireplace. This is carefree living in one of the most awarded boutique hotels in the United States, right here in Minot, North Dakota. I have stayed at the Noble Inn on and off now for 7 months. Could not imagine staying any where else for such a long time. The staff is exceptional at what they do. Would recommend the Noble Inn to anyone. Stayed at the Noble Inn for 6 nights and was very pleased with my room which was more like an apartment. It was nice and clean. Dishes and cookware were supplied in the kitchenette. Great helpful staff and manager. Nice and quiet. I was very pleased with my stay at the Noble Inn. I had a very pleasant stay! I highly recommend this hotel. My husband and I have been living in the Noblie Inn for about two months so far. 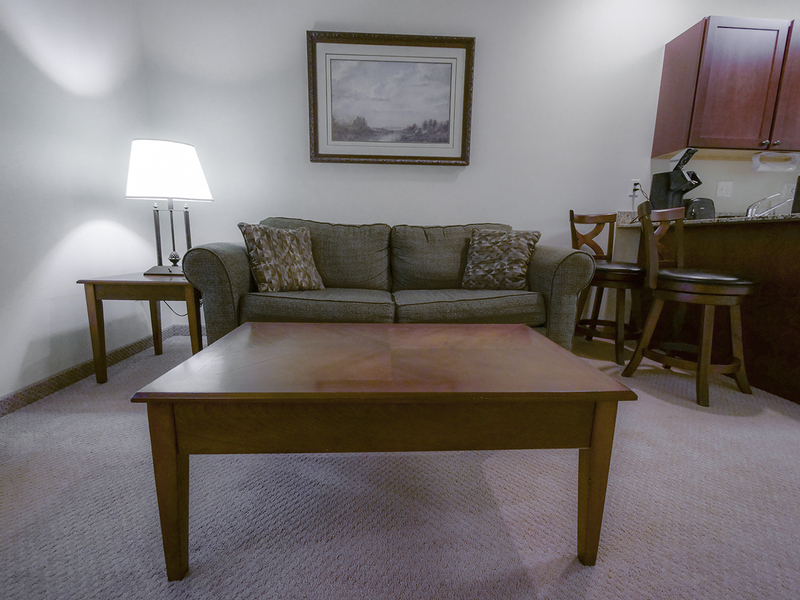 It is truly the best hotel in Minot for us… The hotel has been a great place, with great staff, and a good value stay. Thanks and keep it up! If you have any questions about reservations, would like to set up a corporate rate, or have a special request, just let us know in any way that’s convenient for you!